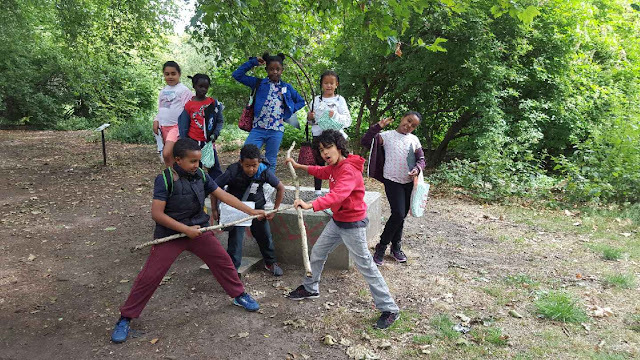 Cardboard boxes, chaos and crazy dance moves captured on a cracking film saw Hackney Marsh crowned 2015's London Adventure Playground of the Year. Around 120 children from adventure playgrounds, schools, and play streets across London descended on the Prince Charles Cinema in the heart of the West End, to see the films they had made about the places they play up on the big screen. 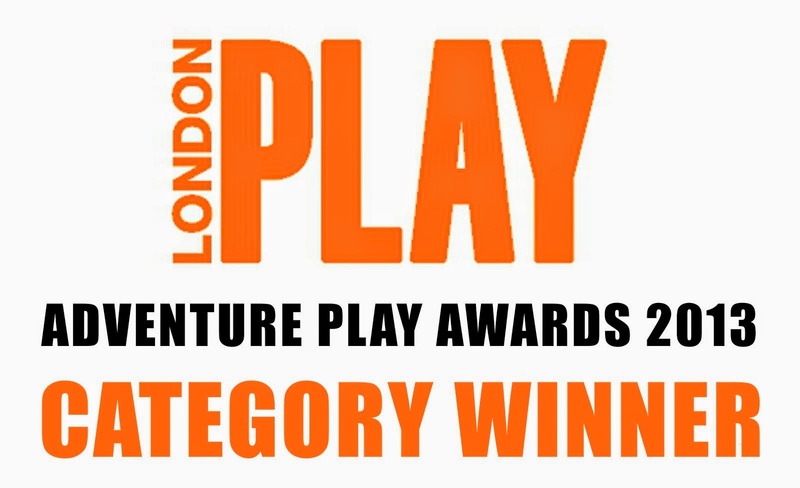 It was the 15th year that London Play has staged the event, and with awards in five categories up for grabs plus an overall winner to be announced – the anticipation was palpable. 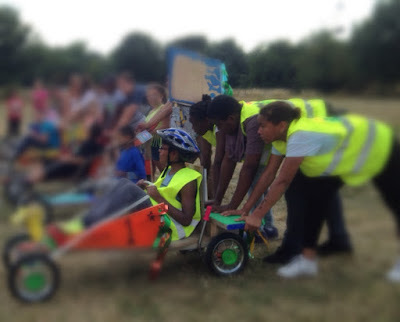 The Hackney Marsh film featured fire, dancing, lots of improvised games with recycled materials, dancing, dressing up, water slides, dancing, obstacle courses, bouncing, swinging and – oh yes – some dancing. 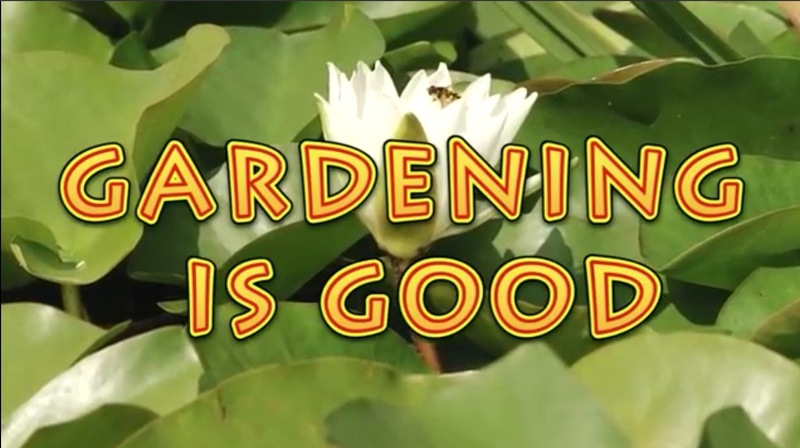 “This film captures the essence of barely controlled anarchy that is adventure play at its best,” the judges said. 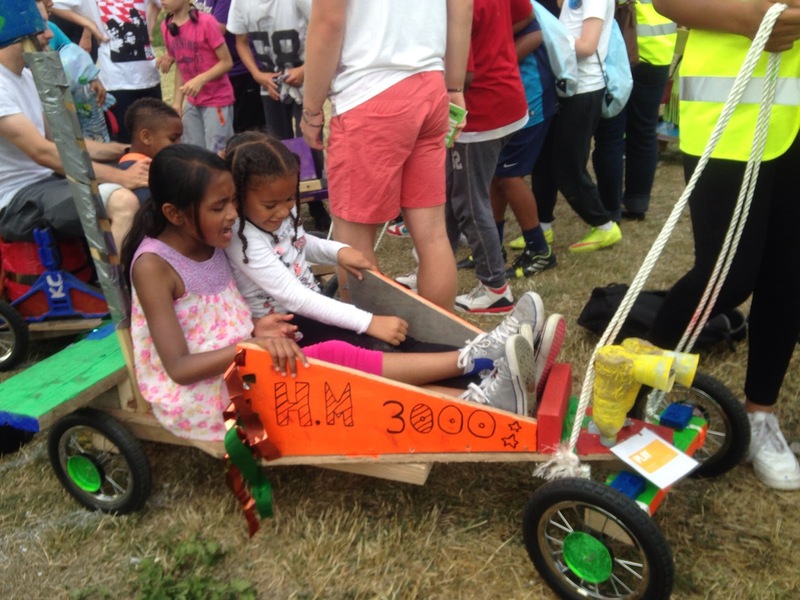 “Lots of improvisation, creativity, craziness and freedom with play workers praised by the children for their ‘immaturity’ – now that’s a compliment!” Children from the 2014 winning playground at White City, who chose the winners, handed over the top prize to a jubilant Hackney Marsh group. One of the young award recipients said that the best thing about the playground is: “Freedom and the chance to do what you want.” The victory was even sweeter given that the group has narrowly missed out on the top prize for the past few years’ running – winning in nearly every category but never the main award. 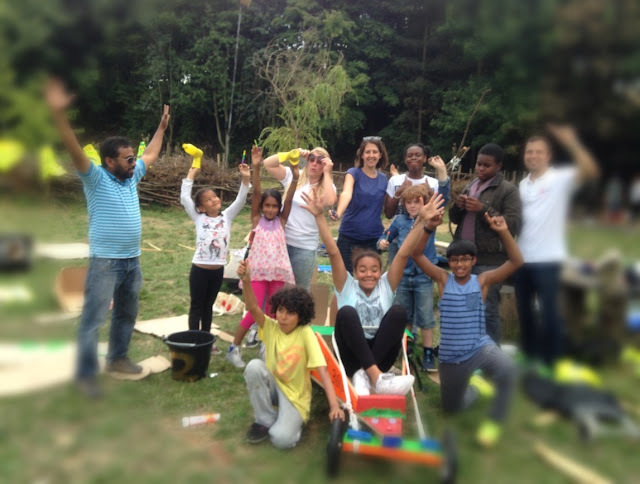 Anisa, age 9 said of Hackney Marsh: “You get to be as creative as you want, you can make new friends and there is plenty to do and you can never be tired of doing it.” The winning prize will enhance the playground further with a new structure, designed and built by APEs Adventure Playground Engineers with the help of the children, including £500 worth of free materials. " 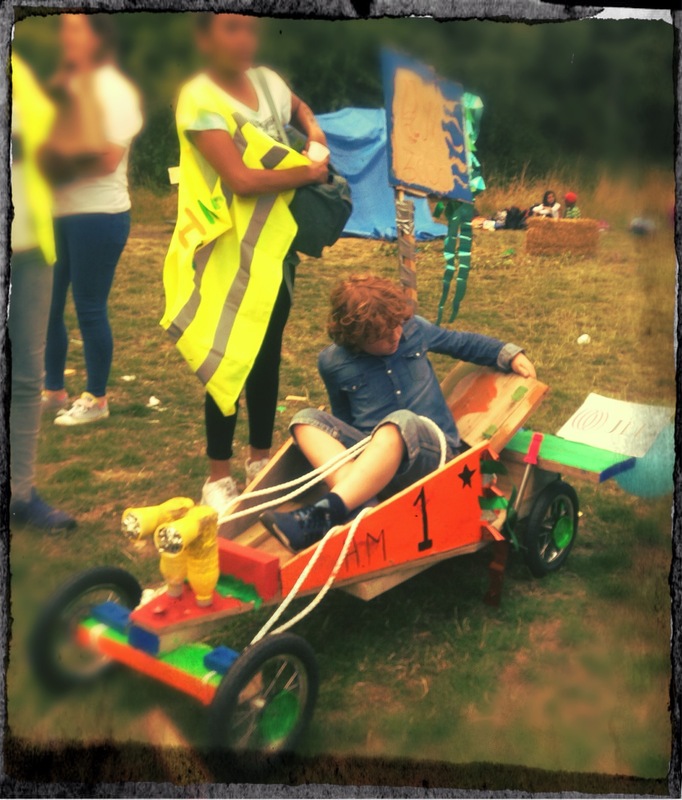 VROOM VROOM - Go Kart build and Race Summer 2015! Day trip Scavenger Hunt to Wick Woods. Junk model making using plastic drinking bottles. playing out in the snow, could there be any more fun! The skate park opposite the playground gave the children loads of opportunities to slide, skid and slip down it's slopes using the playground crash mats as sledges. 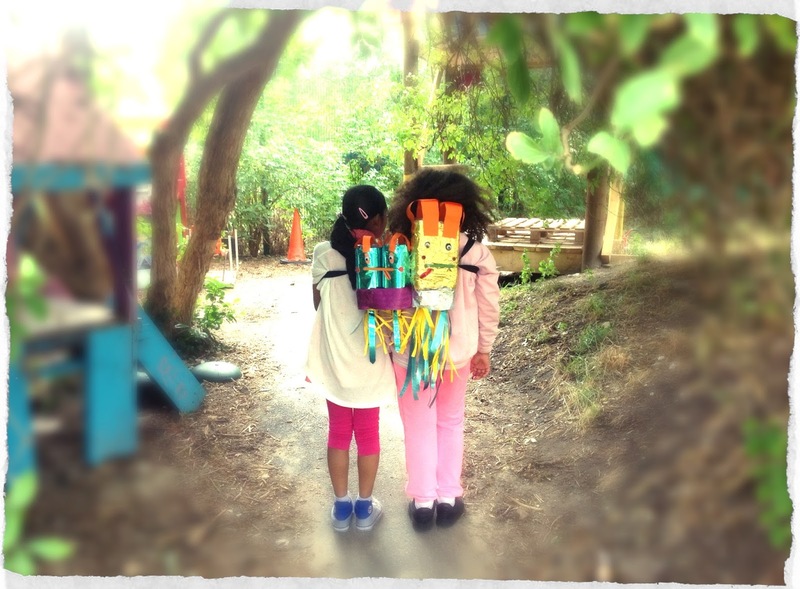 Play Day, Get Out & Play! During the week we had a build up of excitement, children made costumes, banners, flags and even drums from old water cooler bottles. Along with the whistles we had a real racket in on our journey to Hackney Town Hall! We started off on our conga at 11.45am, singing and chanting along the way "What's today" "Play Day", "Where are we from" "Hackney Marsh". By the time we reached the Town Hall there were a lot of sore throats and tied feet but we were encouraged on the way by the response of the passing cars and buses who beeped their horns and cheered us on. Once we arrived in the Town Hall court yard we set up areas for the children to play freely. Chalk drawings and hop scotch markings coloured the walkways, children sang songs, jumped ropes and hula hooped to the music. 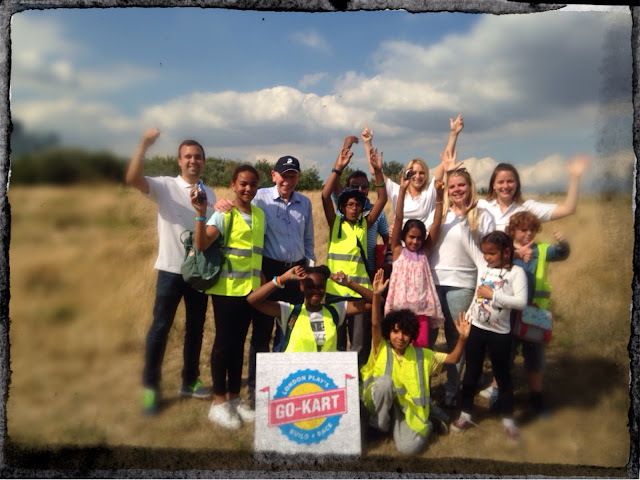 Shortly after arriving we were joined by Shakespeare Walk Adventure Playground. A long rope brought from the playground helped us to challenge senior management to a tug of war, bring it on, of course the children won! The round up of the days event was a huge 'hokey cokey' with everyone cheering and singing. In all a brilliant Play Day, can't wait for next year!! !